Almost everyone has acidity or heartburn sometimes. Heartburn is a substurnal (behind the chest bone) pain It is a pain or burning sensation , usually associated with a reflux of gastric juices into the esophagus. The pain often rises in the chest and throat.The cause of acidity might be pregnancy, certain foods, alcohol and some allopathic medications. 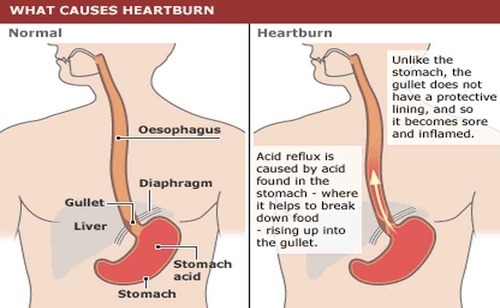 Treating acidity is important because over time reflux can damage the esophagusA cup full of cold milk without sugar taken during the attack, gives immediate but temporary relief.